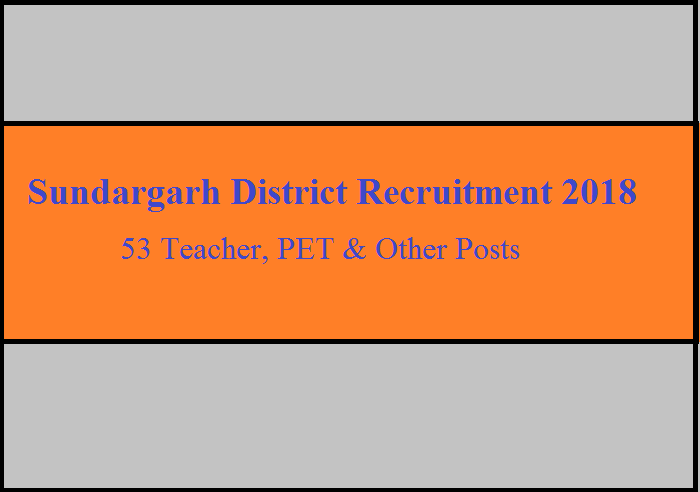 Office of the Collector, Sundargarh District is hiring Teacher, PET & Other Posts. The Office of the Collector, Sundargarh District has 53 vacancies and applicants are invited to apply for the role. Candidates can send their application form on or before 21-05-2018 . Age limit: Candidates applying for this role must be minimum 18 years & maximum 32 years as on 31/03/2018. For SC/ST Candidates age is relaxed by 5 years. Educational Qualification: Candidates may refer Official Notification. Apply Offline : Candidates can send their Application form to the below address on or before 21-05-2018 upto 1.00 PM.